Our preferred scenario for the K-T boundary event focuses on the extraterrestrial impact hypothesized by Alvarez et al. (1980) and authenticated by investigators in many fields in later years (references in Section 11.5, above). With regard to the record of fossil plants, western North America, the region with the highest resolution, shows a clear pattern of major extinction followed by gradual recolonization by a significantly altered flora. Other regions of the world await higher resolution stratigraphy and/or better sampling for this pattern to become as clear, or for a different pattern to emerge. In western North America, the Maastrichtian was characterized by a varied and interesting angiosperm-dominated landscape. At the moment of impact there was immediate knock-down of forests (McIver 1999). Possibly the fallen vegetation burned, but the data are equivocal. The earliest Paleocene saw rapid colonization of the landscape by spore-bearing plants (ferns and sphagnum moss) as described by Tschudy et al. (1984), and possibly at northern latitudes by certain angiosperm species (Sweet and Braman 1992). 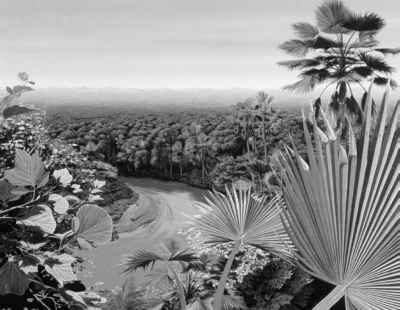 This was followed by continent-wide colonization by swamp-loving plants, the FUI flora of Johnson and Hickey (1990). However, some plants that existed before the extinction did survive. What transpired was that an existing biota was struck down and the survivors became the colonizers of the Paleocene. Refugia may have promoted early development of rainforests such as that at Castle Rock, Colorado (Johnson and Ellis 2002; Ellis et al. 2003). The plant communities that flourished in the Paleocene evidently were largely free of insect herbivores (Labandeira et al. 2002, Wilf et al. 2006). Vertebrate herbivores that preyed on plants were an entirely different stock from that which had existed during the latest Maastrichtian because the extinction event involved the loss of all large-bodied terrestrial vertebrates (Pearson et al. 2001, 2002).